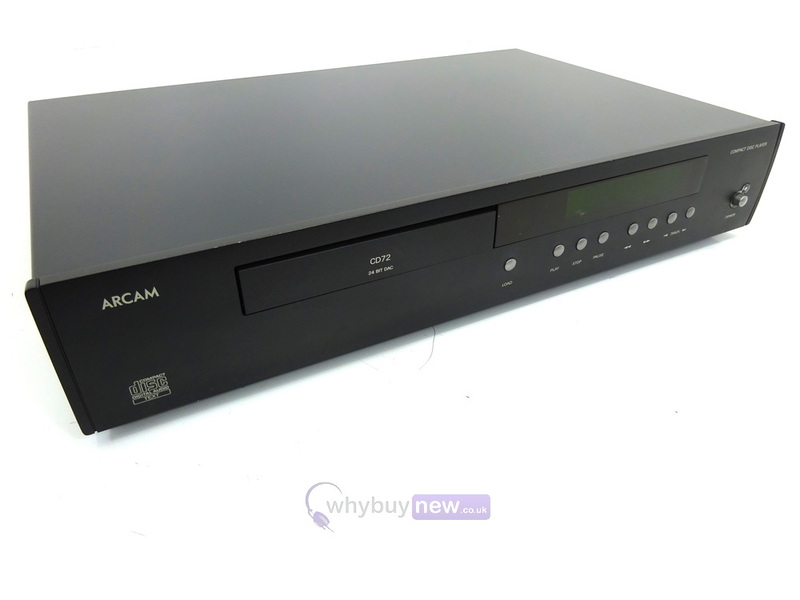 This Arcam CD72 CD Player has come to us via a part exchange and comes with a 3 month warranty. The item is in good cosmetic condition and just has the odd minor mark. It comes with the power lead and the remote. This Arcam CD72 CD Player does not include original packaging but has been professionally packaged to ensure safe delivery to your door. 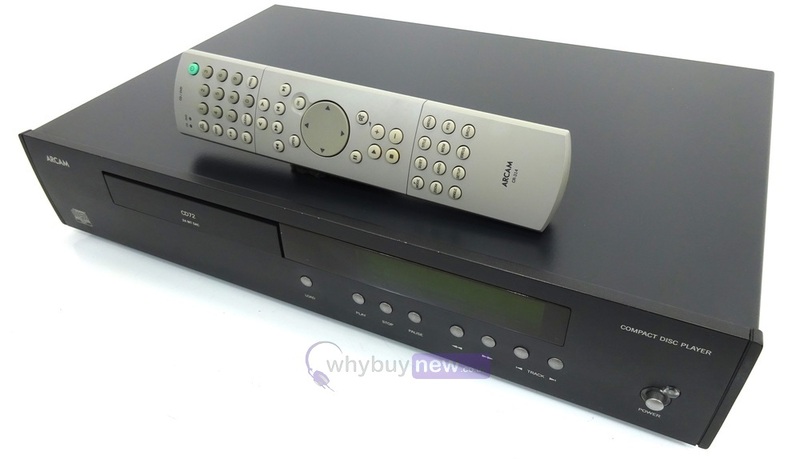 The CD72 is a wonderful sounding CD player with performance equal to players of its day costing twice as much. The latest generation 24 bit DAC from Burr Brown and a main motherboard, incorporating the latest thinking on grounding and power supplies, provided the player with a sound that captivates all who listen. Arcam CD players have always offered a well balanced and detailed sound, but the CD72 represents a significant step forward. The quality of the sound is complemented by the superb build quality. The whole design is upgradable to the CD92 if you decide to improve your system. CD72/92 Design DetailsThe performance of the DiVA CD72 and CD92 compact disc players confirm just how far Arcam has come in defining the high level of sound quality available from this well established replay medium. Arcam has made award winning CD players since 1987 and we have spent many years improving their audio performance. 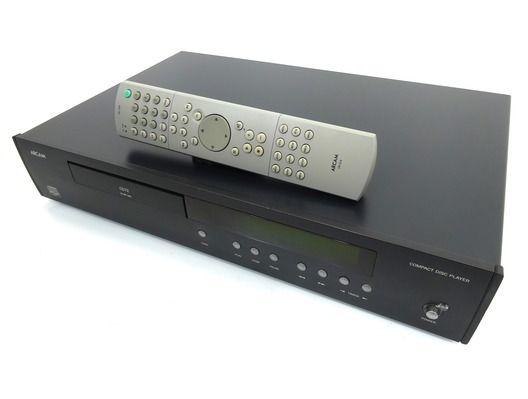 Since its launch in June 1999, the Alpha 7SE established itself as the best sounding mid-priced CD player on the market, helping Arcam to achieve the number one market position by value for CD players in the UK in 1999 and 2000. The new CD72 uses a 24 bit Burr Brown multi level delta sigma DAC and a proven Sony CD text mechanism. Special care has been taken to optimise the master clock design for extremely low jitter, whilst the main circuit board uses carefully tuned analogue filters with audiophile quality components in all critical areas. The player also comes with a large well screened power transformer and six separately regulated power supplies. Damping is applied to key components which are subject to microphonic effects. The chassis is rigidly constructed for best mechanical characteristics and includes a slab of Sontech sound deadening material, until now only seen in our very expensive FMJ CD player; this too has a major beneficial impact on sound quality. Both optical and coaxial digital outputs are included for connection to an external DAC or digital recorder.